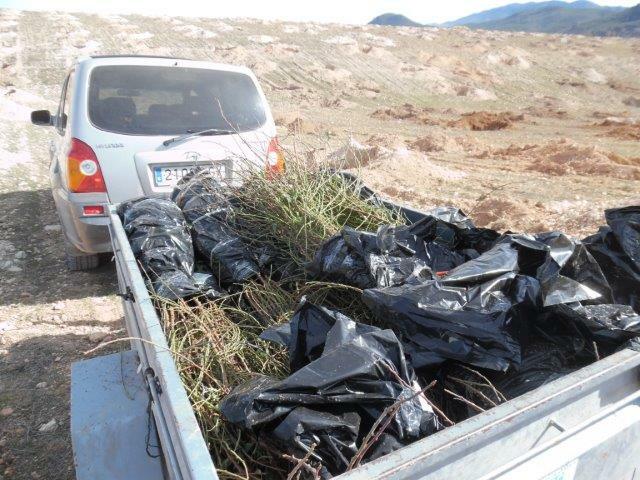 On Monday February the 6th, LLC and the UAL-CAESCG were present during the plantation of Almonds (Prunus dulcis) and the indigenous shrub species Tamarix gallica in Chirivel, Almería. Before the start of the plantation, the technicians of LLC and UAL-CAESCG explained the principles of the Cocoon technique and agreed with the landowners on the most feasible planting method. The owners of the terrain (Santiaga and Antonio) and their 3 co-workers, collaborated actively during the plantation of 2000 trees and shrubs. 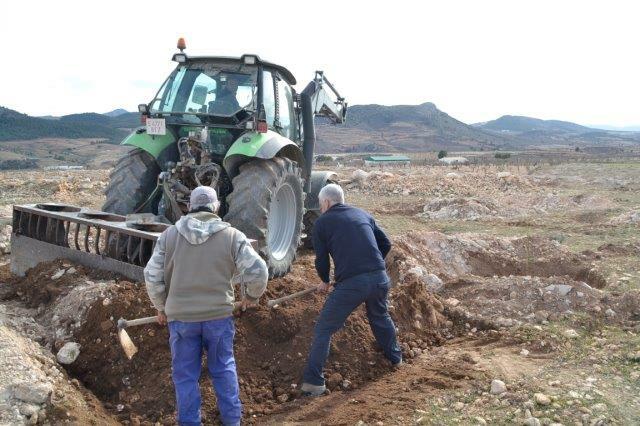 As was defined based in the Baseline characterization report, at this site the project plants local Almond varieties that are resistant to the extreme desert-like climate of Almería, with very little precipitation, high maximum temperatures and low minimum temperatures. It is expected that the Almond trees will start to bear fruits within 3 to 5 years after plantation. The Tamarix shrubs will help to increase soil erosion and soil degradation. The planting design was based on a combination of traditional water harvesting techniques (trenching lines and very deep planting holes to accumulate precipitation and run-off water) with the application of the Cocoon and mycorrhizas.